If you ever find yourself in the Sturbridge Massachusetts area I strongly encourage you to check out this little diamond in the rough… The Copper Stallion. This little joint is truly the essence of what British Pubs are like. I thought that my experience as a whole was truly something else. 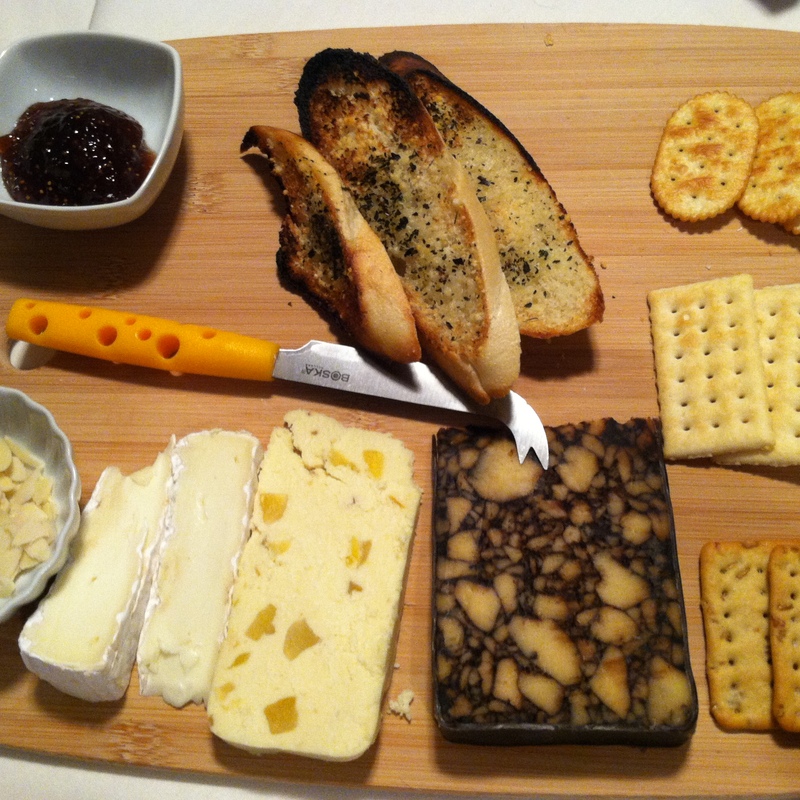 The whole staff was very friendly and accommodating, and the owner even stopped by our table to tell us a bit about their Perfect Cheese Board (pictured above) complete with three imported cheeses, fig spread, seasonal fruit, stone ground crackers, and homemade crostinis! Its the little details like that that inspire people to come back time and time again, and lord knows I definitely will be. 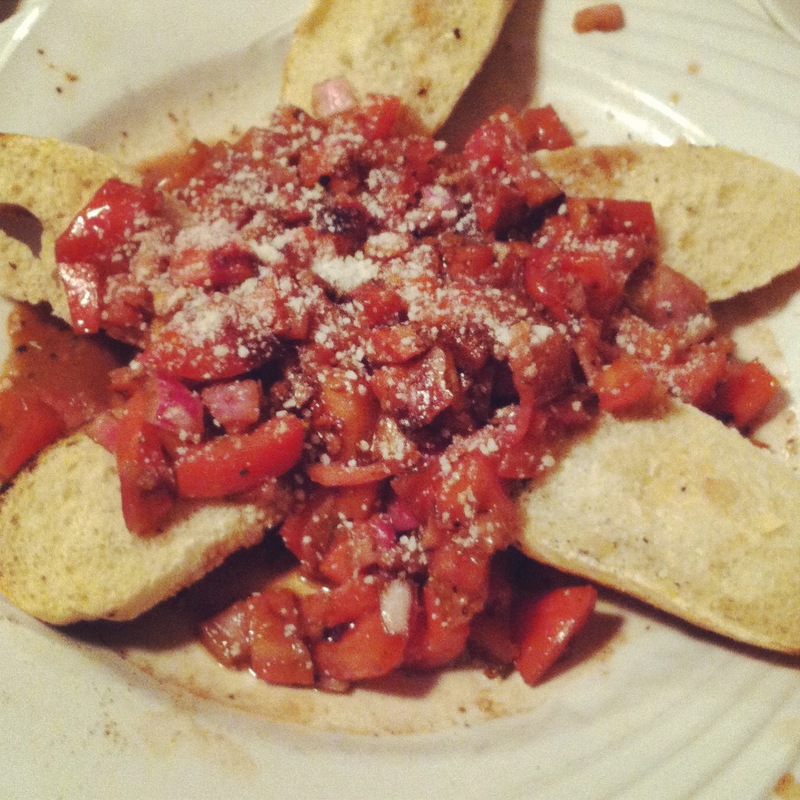 For starters, we ordered their toasted bruschetta and it was pretty darn tasty. It was a pretty basic bruschetta made with chopped tomatoes, balsamic, basil, olive oil, and parmesan cheese, but the kicker was the grilled baguette slices. Next up to bat was the Coppers Stallions Penobscot Skins. 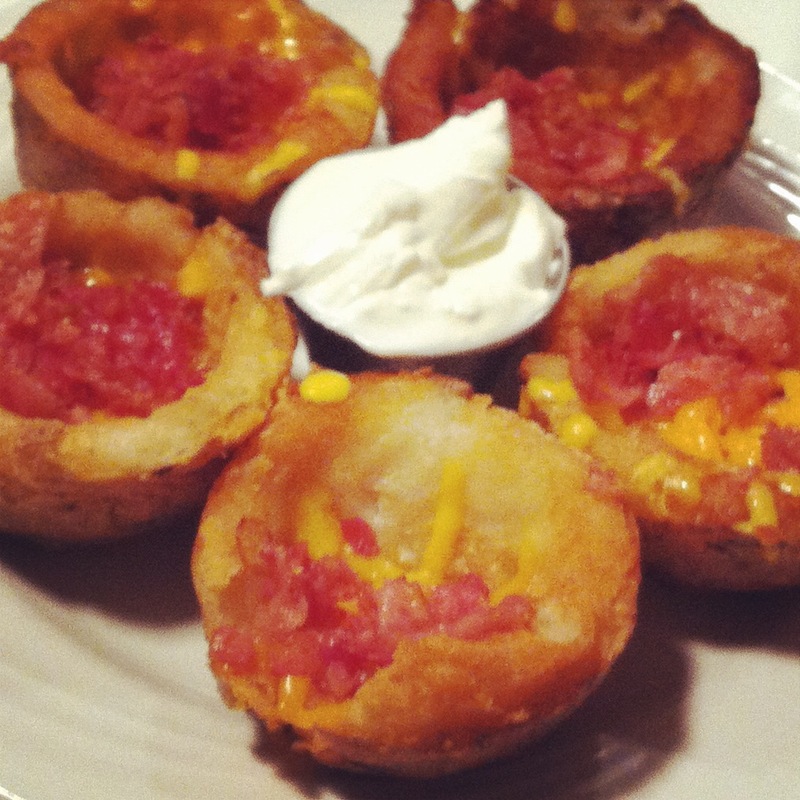 Really they were potato skins loaded with crumbled bacon and cheese with a side of sour cream. Not going to lie, i liked it. You can get them just about anywhere but these little gems were super crunchy on the out side and nice and tender on the inside. My inner Paula Dean was reveling in the greasy goodness of this dish. And lastly, for dinner I ordered the Queen Cut English Prime Rib Dinner. It was one of the best that I had ever had! 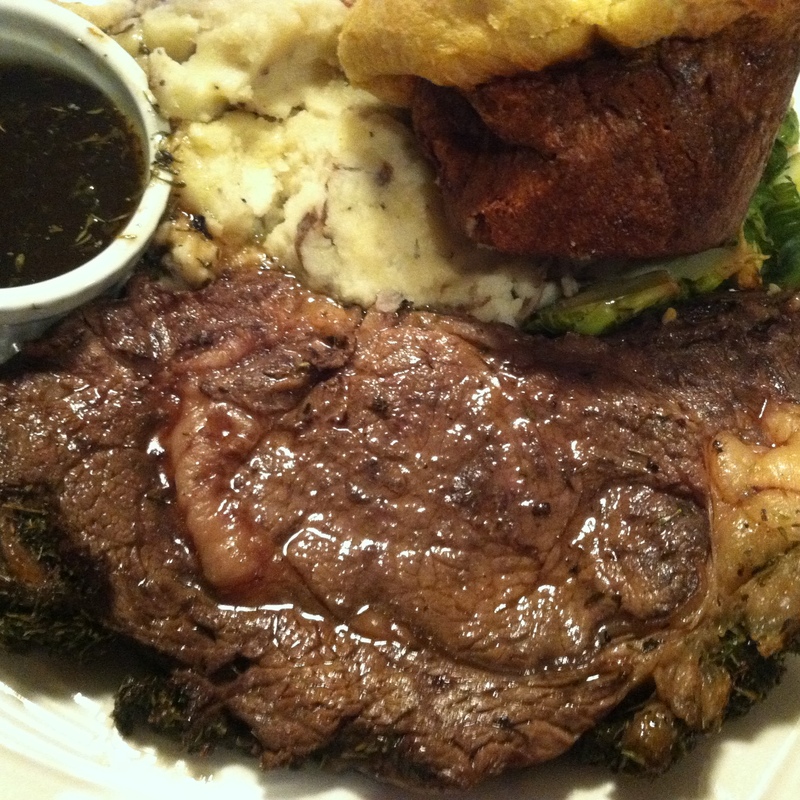 This hot little number was served with Yorkshir Pudding, Au Jus, Creamy Mashed Potatoes, and Brusselsprouts. My sister Amy always raved over their prime rib and now I full grasp the severity of the situation. Not only was it very good, but you could taste the fresh thyme in the meat that they used for the rub! It wasn’t at all over powering like some places do, which will take the attention away from the main attraction (the meat). But this place really knew what to do in order to perfectly compliment the meat without stealing the show! With all that being said, I feel a return visit deep in my bones… its happening! And I hope that you all get the chance to experience the Copper Stallion in the very near future!